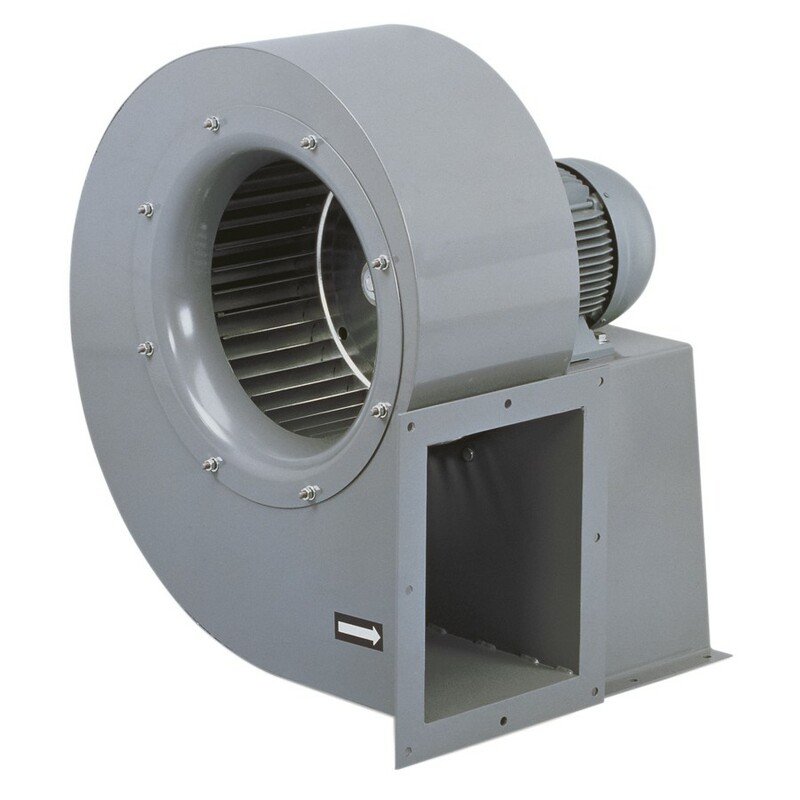 Range of centrifugal single inlet fans suitable for continuous extraction of airstreams temperature up to 80ﾺC or 110ﾺC (Series 1) or 150ﾺC (Series 2 and 3). All casings are manufactured from electro-welded sheet steel protected against corrosion by grey epoxy-polyester paint coating. 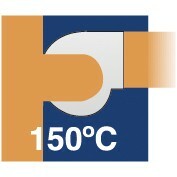 All models incorporate forward curved centrifugal impellers manufactured from galvanised sheet steel. 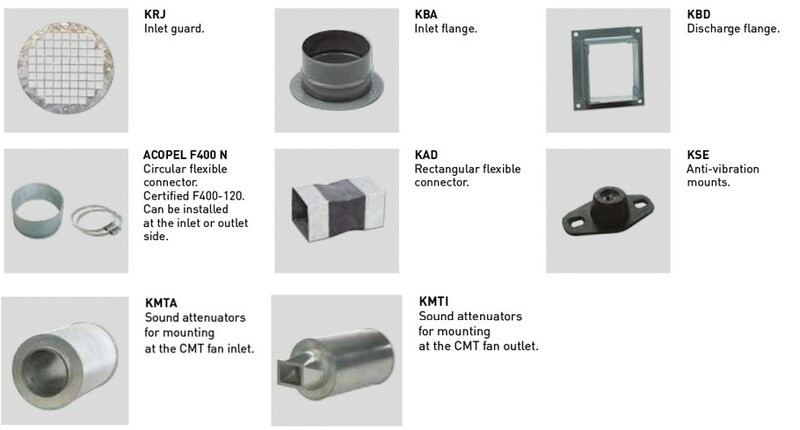 Available, depending upon the model, with single or three phase motors in 2, 4 or 6 poles. All motors are IP55, Class F (1) with ball bearings greased for life. -Three phase 230/400V-50Hz up to 3kW. 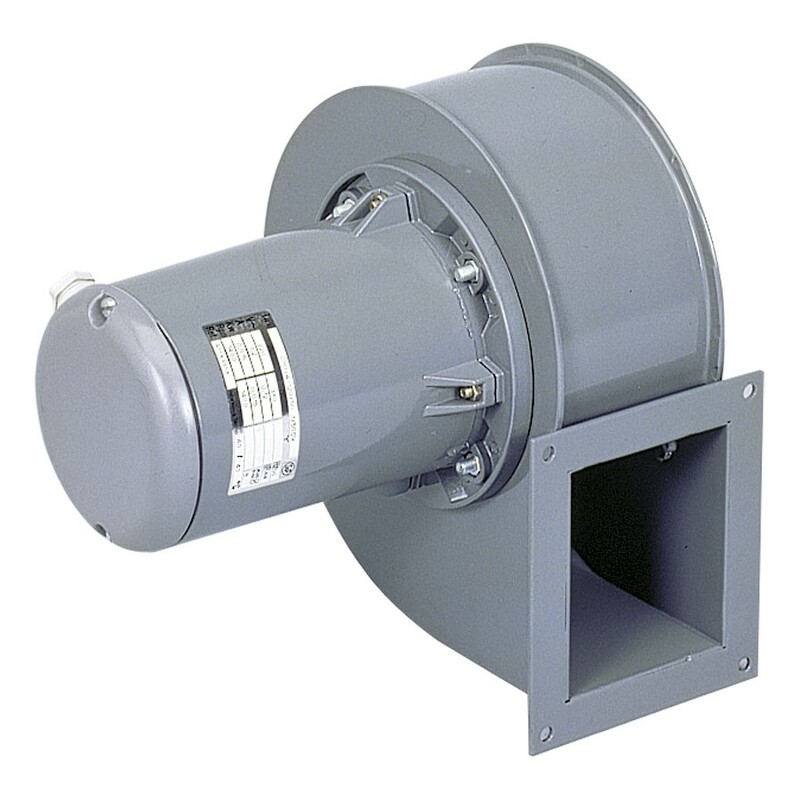 -Three phase 400V-50Hz, for higher power motors. Series 1 are equipped with B14 flange mounted motor. Series 2 & 3 are equipped with B3 foot mounted motor. The scroll can be orientated in 8 different positions as per the table below. Standard supplied position: LG 270. On request, explosion proof versions in accordance with ATEX Directive, for 3 phase models. 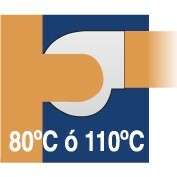 For ambient working temperatures from -20ﾺC to +40ﾺC. 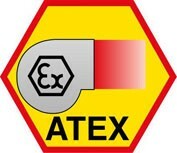 To select CMT ATEX refer to performance curves, or Easyvent. Note electrical data may vary for ATEX motors. 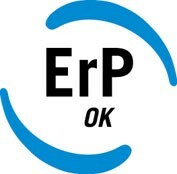 For single phase models, please consult S&P." Forward curved centrifugal impellers dynamically balanced, according to ISO 1940 standard, providing vibration free operation.